This week is British Flower Week and to celebrate I have decided to share 3 simple upcycling projects I’ve been working on last weekend! I love working on home improvement and upcycling projects as it’s very relaxing and I always feel accomplished by turning a piece of rubbish into a beautiful decoration for my flat! In the course of one and half days, I have managed to turn a used candle jar into a polka dot vase, baked bean cans into a herb garden and old Gü Puds into vibrant flower pots! I’ve written detailed instructions (just click on the Instructions tabs below to expand the details) on how I created these home decorations below, but do drop me a message if you think anything is unclear! Also, if you are looking for other creative ways to display your beautiful blossoms then check out FourWalls‘ (a project by Ocean Finance that celebrates all things home-related) post on British Flower Week for more inspirations! I’m really happy with the vase I made! It’s got a beautiful bright colour and it looks super cute! 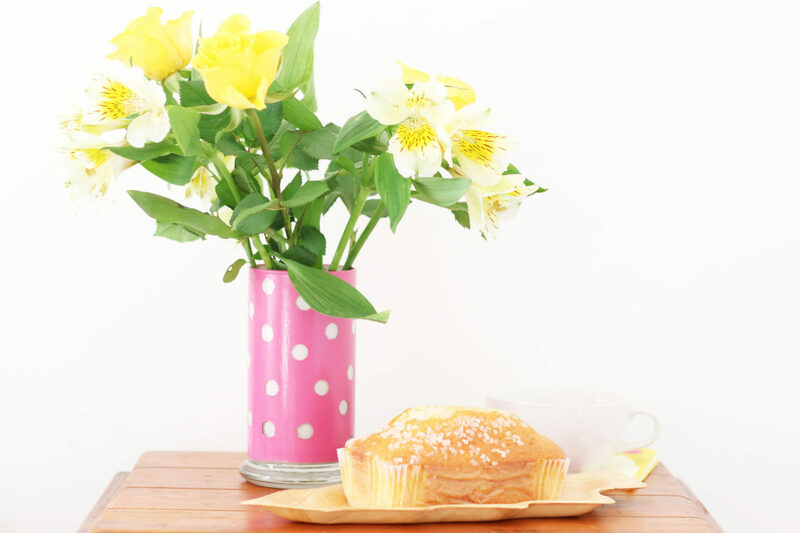 In fact, it looks so good as a vase you wouldn’t even suspect that it was a jar to start with! 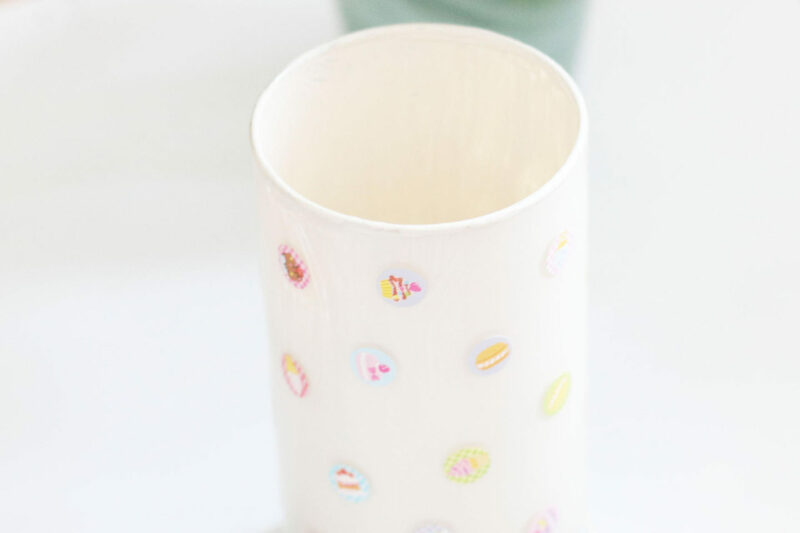 With a good candle jar, you can pretty much paint it however you like and it will still look good! I went for a polka dot theme because I had some old circular stickers that I wasn’t using, so I thought I’d put these into good use! 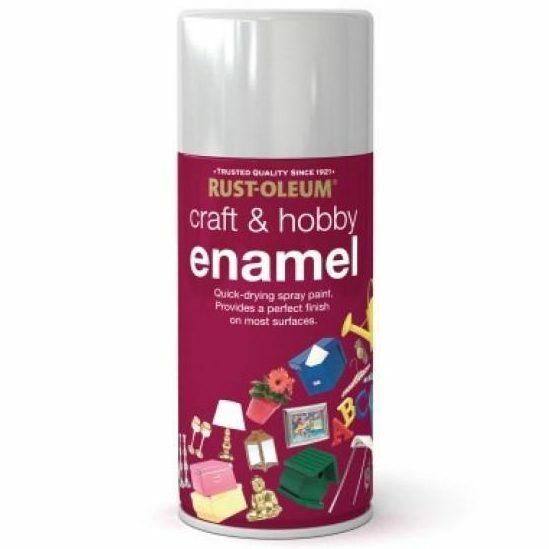 Nevertheless, you can create a butterfly vase, starry vase or an animal kingdom vase based on the stickers you choose. But try to stick to a simple shape to start with as getting the stickers off isn’t as easy as it sounds. 1. Clean the candle jar so it’s free from wax and other residues. 2. 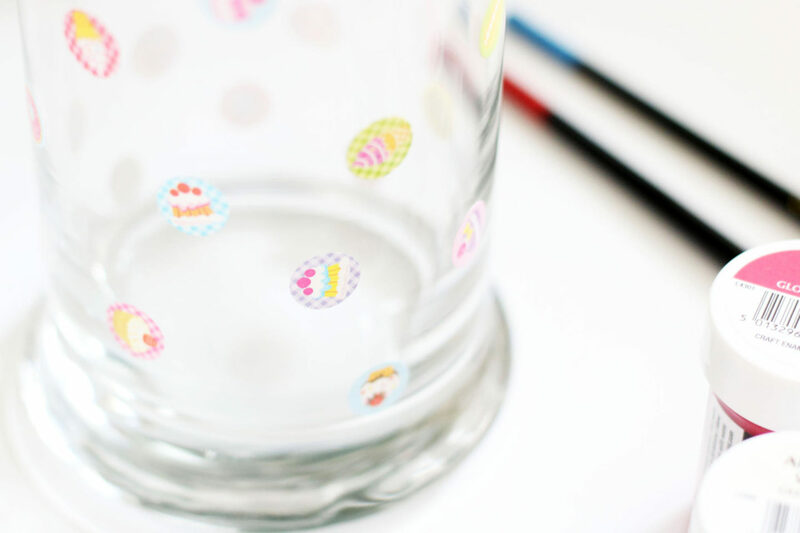 Stick your chosen stickers on the outside of the candle jar. 3. Wrap the bottom of the jar in masking tape if you want the glass stand to show – you can skip this step if you want the jar fully painted. 4. 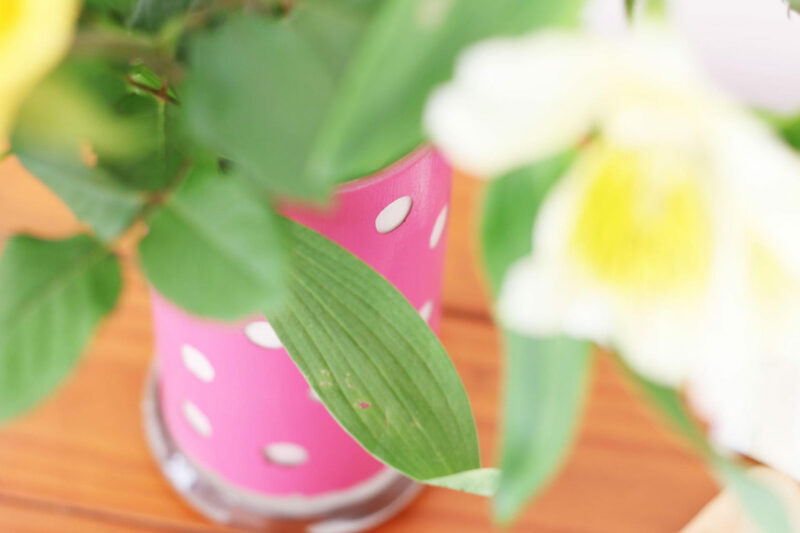 Paint the inside of the jar white (or any colour you want for the polka dots). 5. 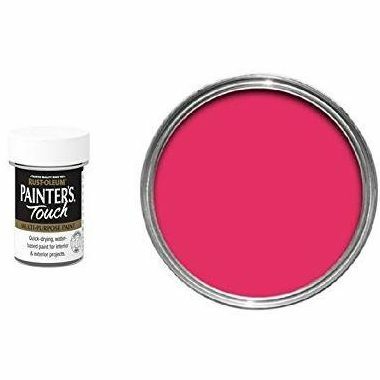 Paint the outside in pink (or your desired colour). You can paint over the stickers as you will remove these later to reveal the polka dots. 6. Wait until the paint is dry and repeat steps 5 and 6 (I used two layers of paint for a full coverage). 7. Wait until the paint is completely dry on the outside and remove the stickers. Be careful here as it’s a stiff paint when dry and pulling too hard can tear the paint around the patterns. I love Gü! Not only because their desserts are delicious, but you can also get some use out of the glass pots! 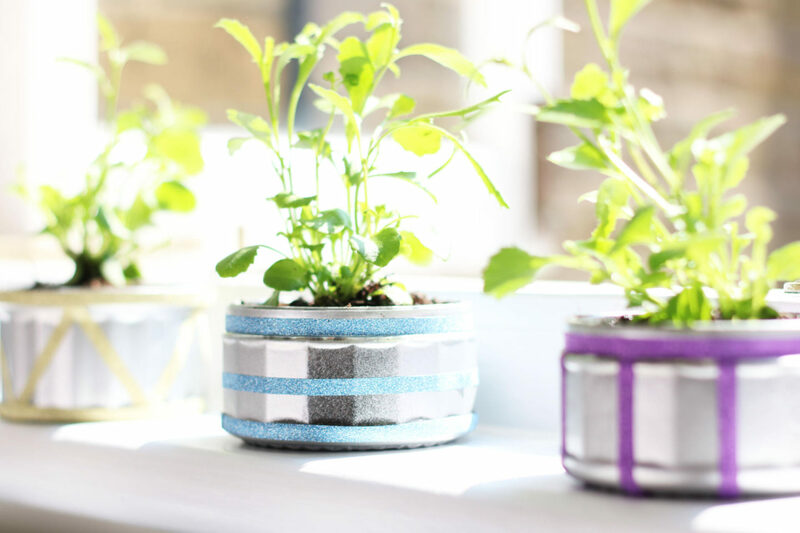 For this upcycling project, I’ve decided to turn them into flower pots! I went for a silver-sparkly theme because they add a lot of life to my dull windowsill! The original plan was to only use spray paint, but there was some inconsistency in the spray paint surface finish, so I resurrected this by wrapping washi tapes around the jars which turned out to be a great idea! I planted these trailing lobelia flowers just over a week ago and it looks like they will blossom any time now! 1. Clean the jar, especially the outside. 2. 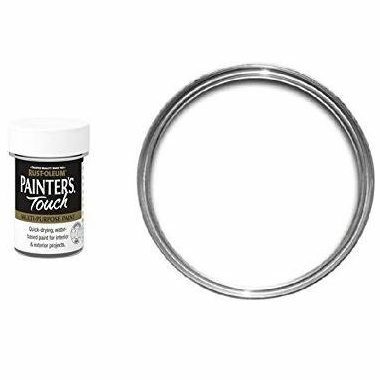 Paint the outside in silver spray paint (or your desired colour). 3. 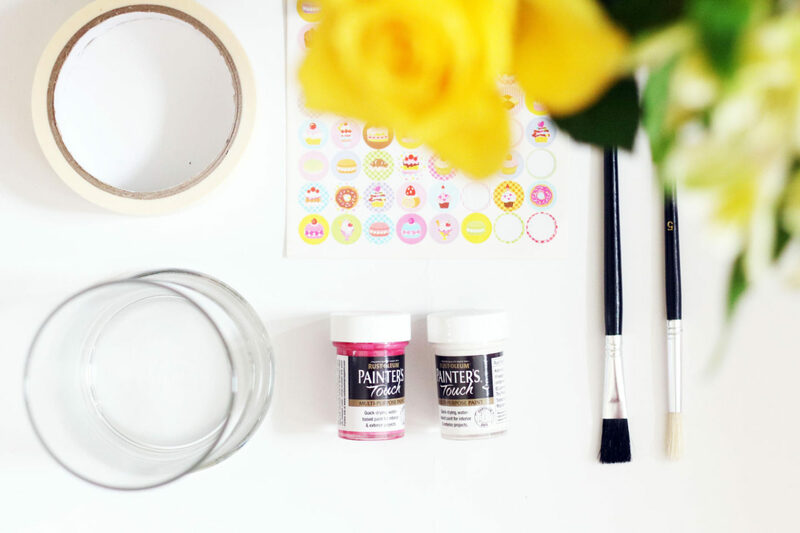 Wait until the paint is dry, then wrap washi tape around jars! Be creative with the patterns! This is a bonus project as it’s a home upcycling project not directly related to British Flower Week! 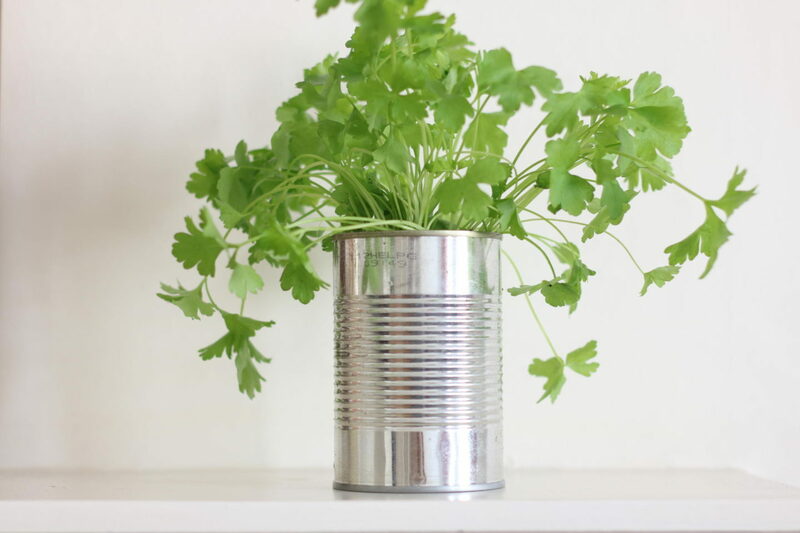 I’ve always wanted to create a mini herb garden for the kitchen, so whilst I was in the mood of upcycling, I decided to turn some metal cans into something more useful! 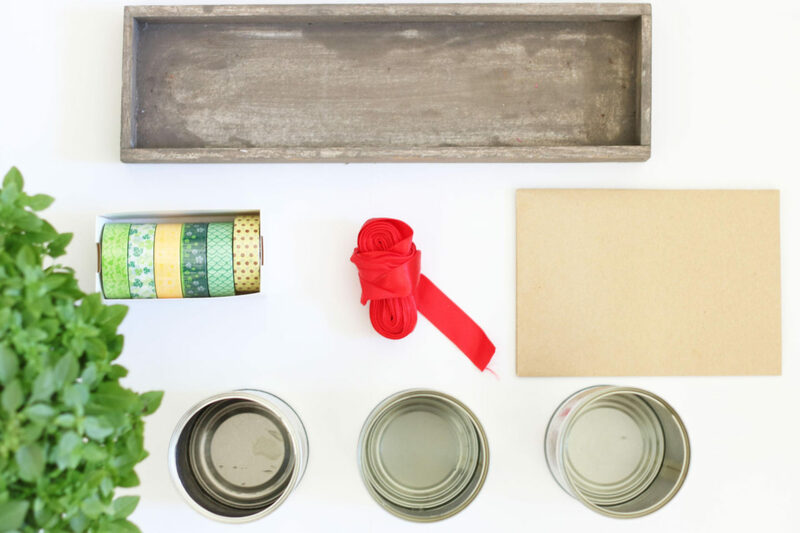 Seemingly complicated, this upcycling project is actually the quickest of them all as you don’t have to wait for the paint to dry! 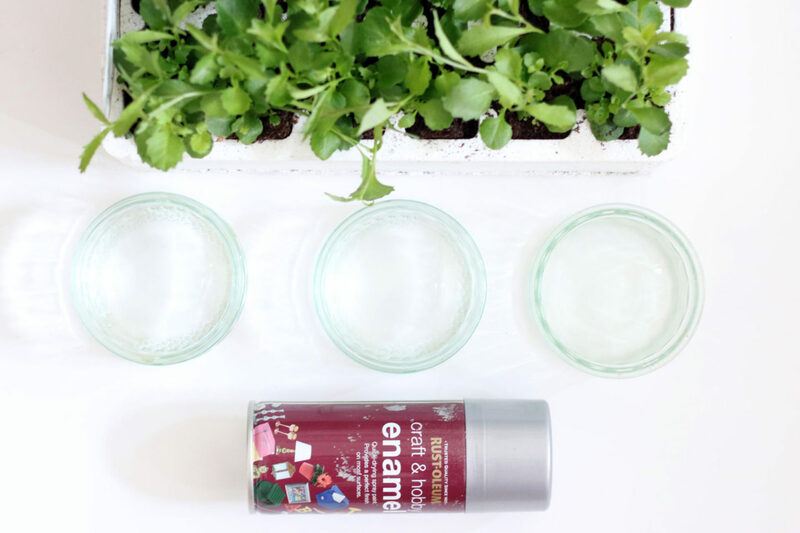 I’ve created a herb garden here, but you can totally make a mini flower garden using the same method! 1. Clean the cans. 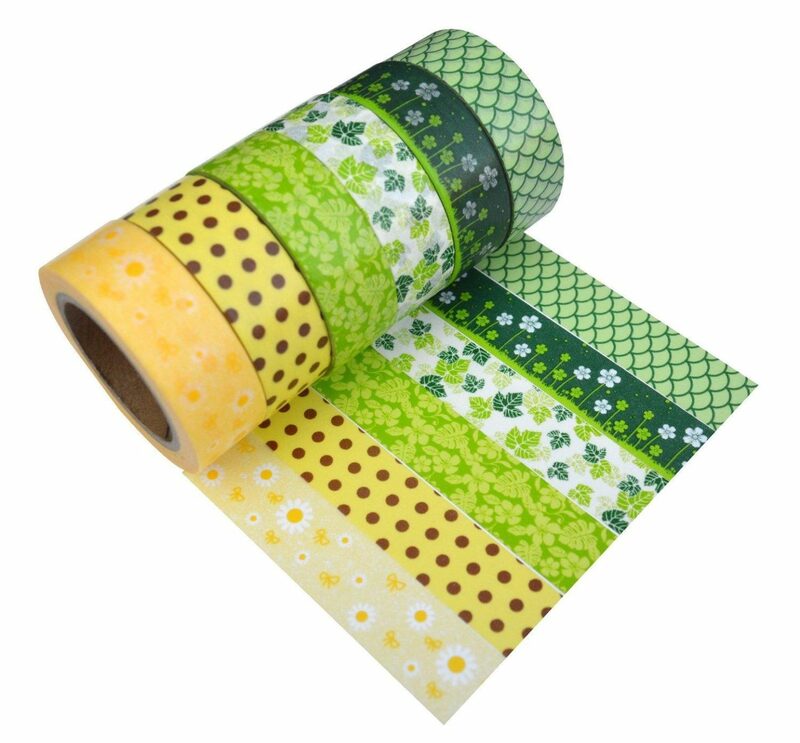 It’s ok to still have some adhesive left on the cans, the washi tapes will cover these. 2. Optional: drill a hole at the bottom of the cans. I skipped this part as I didn’t have the right tools to make the holes. 3. 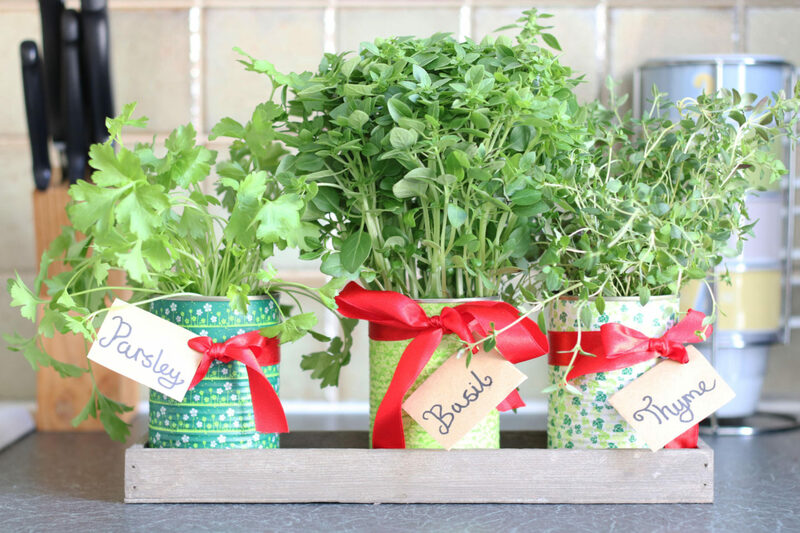 Repot the herbs or grow the herbs from scratch if you like. I chose to repot as I didn’t have the patience to wait a month for my herbs to grow. 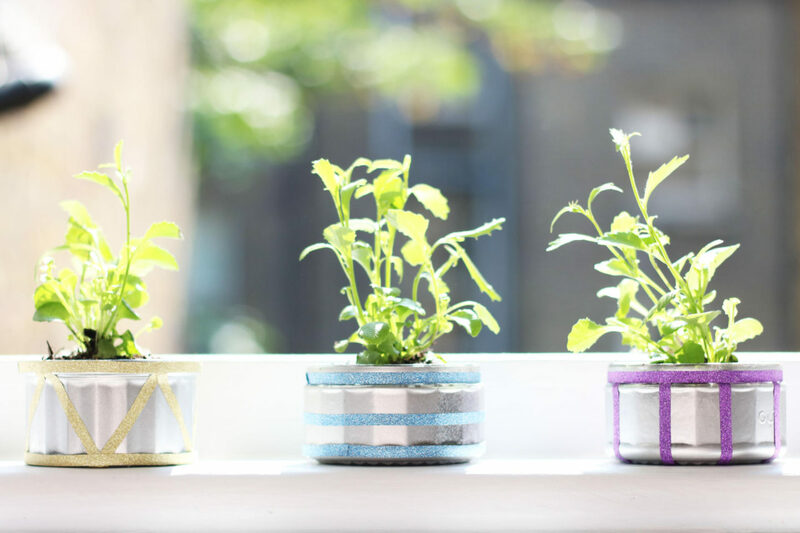 Remember it repot before decorating as you don’t want the tapes to get messy! 4. 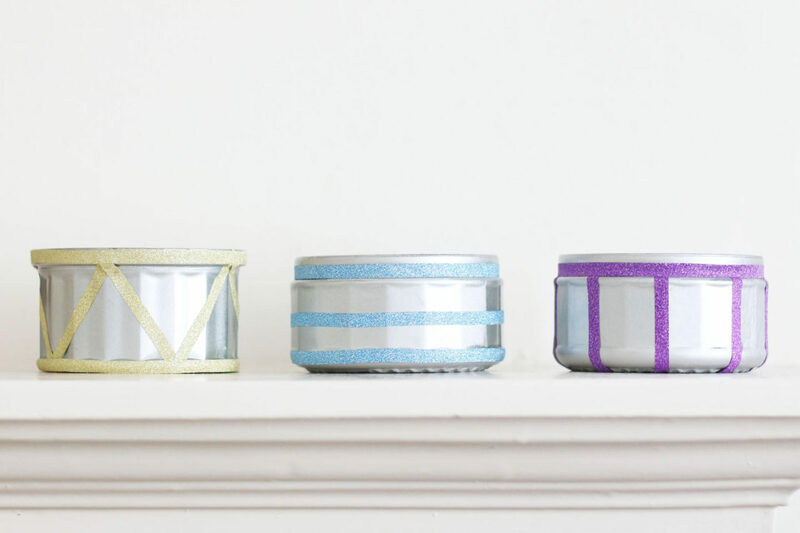 Wrap the washi tape around the metal cans. Try to be as consistent as possible when wrapping the tape around the cans as you don’t want the metal layer to show. 5. 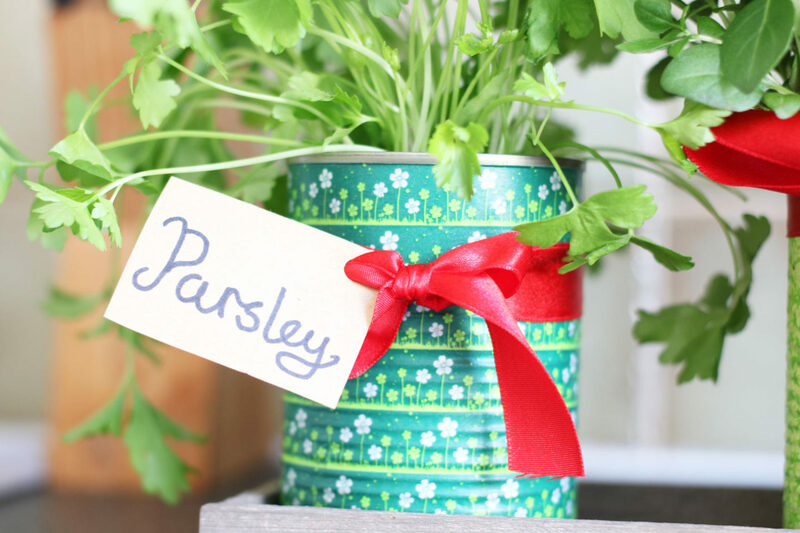 Finally, wrap the ribbons with a tag around the cans and put it in the wooden tray! 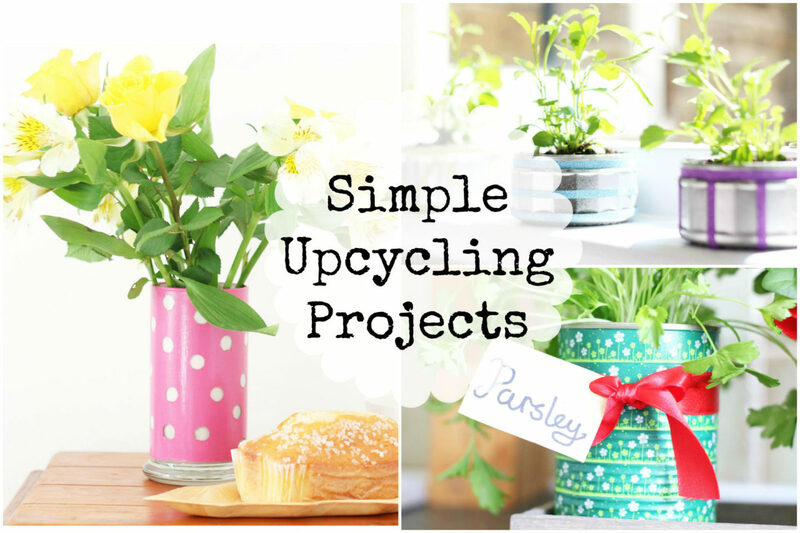 This turned out to be a rather long post, but I hope that you feel inspired after reading these upcycling projects! Feel free to share your upcycling projects with me as well as. If you want to see some of the other upcycling projects I’ve done in the past, then you can check out: Glossybox DIY – Nail Polish Storage, Glossybox DIY – Stationary Box and Upcycling with Currys. Disclaimer: This is a sponsored post, but the ideas and words are my own.